Starting a business is something on many people’s lists of things they’d love to do. The freedom of being self-employed, being the boss and making the big decisions is enormously attractive. But it’s not all plain sailing. Many more businesses fail in their first yearor so of trading than manage to survive and succeed. And unfortunately, many simply replace the stress of working for a boss with the stress of being a boss. Especially at the start-up stage, when there’s so much going on, it’s easy to try to ignore the build-up of stress until it becomes a big problem. So here are five ways to manage the stress levels and start and run a business with a smile. Even the brightest entrepreneurs need support, especially at start-up stage. Whilst you’re trying to keep a lid on costs, it can be easy to overstretch yourself. Delegate wherever possible, and get professional help to plug gaps in your expertise. Anything else is false economy and asking for trouble. Yes, it’s the start-up stage and there are probably a million things to do, but build in plenty of time to recharge your batteries and take your mind off the business. Take exercise, spend time with your family and make sure you switch off and relax. 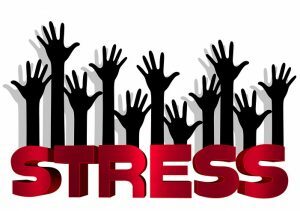 The physical symptoms of stress can show themselves in ways such as headaches, tension, stomach upset and lack of sleep. Don’t ignore the signs and try to soldier on: be aware of them and take your foot off the pedal when you need to. Losing a customer or not spotting an opportunity isn’t the end of the world, so don’t convince yourself that it is. Doing so will only cause stress. Keep a positive perspective on the running of your business, and don’t let negative thoughts frame your day. As well as bringing in the right people to fill gaps in your expertise, don’t try to micro-manage every little thing that goes on in your business. You can’t be in control all of the time – accept that and focus on your skills to look ahead and steer the business. Running a business can be hugely satisfying, rewarding and lots of fun. Making sure you pay attention to your stress levels is vital to keep the business running smoothly and achieve success.